The struggle of Parliament against the king, began in England in the 12th century. Each king wanted to rule over the country without any parliament. King Charles I was at war with Spain and France and wanted money for it. The Parliament refused to give the money. King Charles I dismissed the Parliament (1629) and for eleven years ruled over the country without the council of the people. The Parliament assembled again only in 1640 and opposed the king. The parties began to prepare for war. The king and his soldiers were in Oxford. The soldiers of the Parliament with Oliver Cromwell at the head were in London. In the Civil War which lasted for twelve years the Parliament won the victory. King Charles I was executed as enemy of the country. 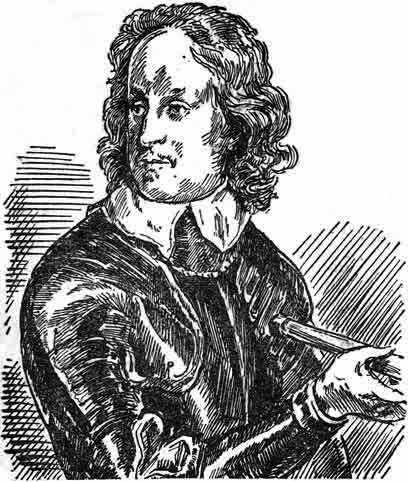 The Commonwealth was proclaimed and Oliver Cromwell became the Protector of the new republic. The end of the Commonwealth came after Cromwell died (1658). England was at war with Spain at that time. The government was too weak and the new Parliament decided to have a king.